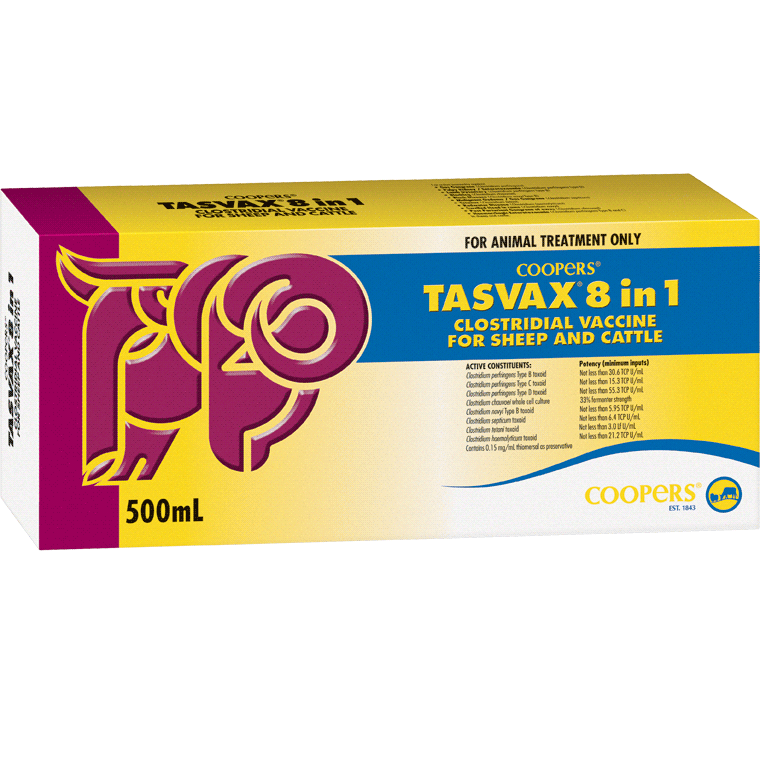 For active immunisation of sheep against Pulpy Kidney, Lamb Dysentery, Tetanus, Swelled head in rams and post parturient gangrene in ewes. For active immunisation of cattle against Pulpy Kidney, Haemorrhagic Enterotoxaemia, Maglignant Oedema, Blackleg, Black Disease, Redwater and Tetanus. 12 months Pulpy Kidney protection. Lambs and calves can be vaccinated from 2 weeks of age. The primary course of vaccination consists of two injections, at intervals of 4-6 weeks. 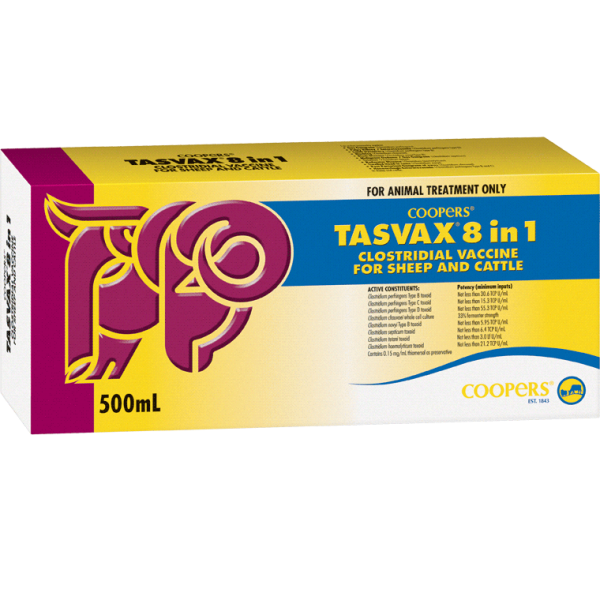 Vaccination of pregnant ewes and cows can confer passive immunity via colostrum of young lambs and calves from vaccinated mothers. Duration of protection by passive immunity in lambs is 2 weeks for C. septicum and C. chauvoei, and up to 12 weeks for all other antigens. Duration of passive protection in calves is up to 2 weeks for C. haemolyticum, 8 weeks for C. septicum and C. chauvoei, and 12 weeks for all other antigens. Revaccination is required every 12 months.